If you're a social media marketer or a recruiter, get ready for a change you'll love. LinkedIn is getting the updates it desperately needs. Beginning now, using the platform will be smoother, easier and more intuitive. In essence, LinkedIn will function and look more like other top social networks, like Facebook or Instagram. Back in June of 2016, Microsoft acquired LinkedIn for $26.2 billion, making it the largest acquisition in the company's 42-year history. Instead of rolling out a revamped network overnight, LinkedIn has slowly been adding improvements and new features over the last several months. While you may have noticed the revamped design of the LinkedIn feed, there are features and tools you may have missed. Below are the top new three LinkedIn features for you and your brand to embrace. On LinkedIn, you can now upload native videos or multiple photos in a single post. No longer will you have to agonize over choosing the one perfect photo, you can upload multiple images to illustrate your message better. Even more exciting, you will soon be able to upload videos up to 10 minutes in length directly to LinkedIn. Previously, you could only link to videos, so users had to click through. So, while videos performed great on every other platform, they didn't on LinkedIn. With this change, videos will play automatically with the sound off in the news feed. Plus, you'll learn how much your video is being watched and who is watching it with LinkedIn's Analytics. Right now, you can only upload multiple photos from the latest version of the iOS app. Native video is being tested with select users and companies and is expected to roll out to all users in the coming months. You know Facebook's Trending News? LinkedIn has introduced, essentially, the same functionality. On the right side of your LinkedIn news feed, you'll now see "What people are talking about now." Featured stories will be different for each user because they're customized based on your interests and industry. To make them easy to follow and participate in, each featured story has a unique hashtag. To join, pen your post, add the hashtag, and you'll be featured. Those who follow you or are second- or third-degree connections will see your post at the top of the Trending story. Using this feature situates you as an active thought leader in your industry. Plus, new faces can find, connect and network with you. Perhaps your next big client or future employee will discover you here. Presently, this is only available on LinkedIn's mobile app. If you don't see it there, don't panic. This hasn't rolled out to all LinkedIn users yet. Install Linkedin's Insight Tag into your website's HTML, and list the pages you want to track. You'll gain access to all the filters and demographics that you can access within LinkedIn's analytics (job title, industry, job seniority, job function, company, company size and country). 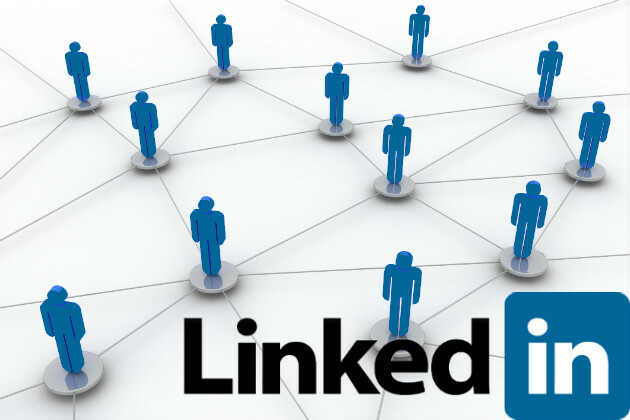 With more than 500 million LinkedIn members, that's access to a massive amount of data. When you know more about the individuals visiting your website, you can create targeted content to better suit them or discover new markets entirely. Plus, the more you target your content and segment your audiences, the higher your conversion rates will be. Just announced, LinkedIn's Website Demographics tool, which is 100 percent free, will be rolling out in the "coming weeks."